Save BIG on a classic game! 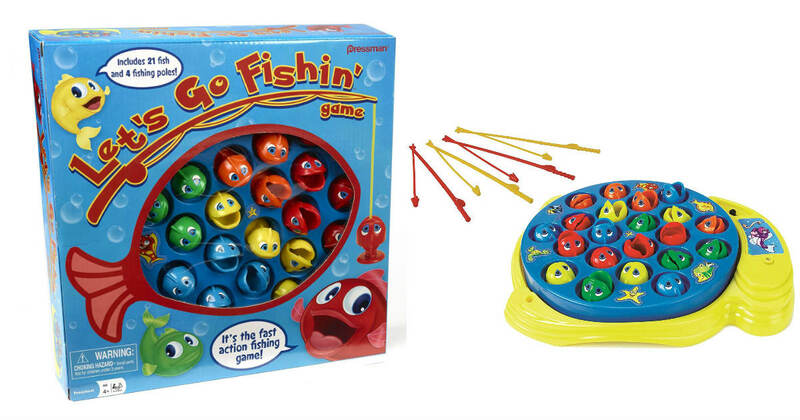 Regularly priced at $16.99, the classic Let's Go Fishin' game is only $7.97 on Amazon! The game includes 21 fish and 4 fishing poles. Recommended for ages 3-15. Prime members receive free shipping, otherwise free shipping starts at $25. Not a Prime Member? Get a Free Trial NOW. The Trial includes EVERYTHING a Paid version includes, cancel anytime. Have a .EDU email? You get 6 months totally free and half price yearly memberships. Have EBT or Medicaid? You may qualify for a HUGE discount on Prime. Want more Amazon deals? Don't miss out on these!